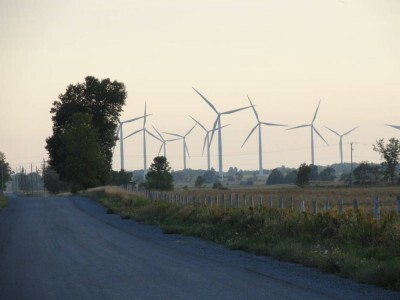 Like South Australia and Germany, Ontario launched headlong into wind power, as if actions no longer had consequences. In all cases, the results have been a disaster. The economic destruction that comes with rocketing power prices, has hollowed out Ontario’s manufacturing base. South Australia’s is now non-existent. And Germany struggles to provide reliable power to its economic backbone, the ‘Mittelstand’ – which is also being throttled by spiralling prices. For those with even an inkling of energy market economics, none of this comes as a surprise. Indeed, there were at least a few in Ontario who predicted, with perfect accuracy, the disaster that would follow its insane wind rush. In 2005, I along with two co-authors (University of Guelph professor Ross McKitrick and air quality analyst Joel Schwartz) released a study called Pain Without Gain. The subtitle of the piece was that shutting down coal-fired power plants would hurt Ontario. In that study, we showed that, despite operating coal-fired power plants, air quality improved dramatically since the 1970s. We also showed that coal plants played only a small role in pollution and smog formation, and that emissions of mercury (from all sources) did not pose a significant risk to Canadian’s health. And that closing the coal plants would have little to no effect on environmental mercury levels. It turns out, in hindsight, we were somewhat generous in our assumptions regarding the long-term costs and lack of environmental benefits that would stem from the coal plant phase-out. Fast forward 13 years and we see how disastrous the Ontario government’s choices to shutter coal-power plants, and later enact the Green Energy Act, have been. A recent Fraser Institute study digs deeply into power prices in Ontario to show just how much of today’s high electricity prices stem from the coal phase-out, subsequent development (and non-development) of backup natural gas generation, and, most critically, the decision to subsidize wind and solar power with so-called Feed-in-Tariffs (FIT) that guaranteed those energy sources would command higher-than-market prices for decades. What the Fraser researchers found is astonishing. To help pay for the FITs and the commitments the Ontario government made to renewable energy generators , the government levied a surcharge on electricity bills , called the “Global Adjustment” (or GA). Between 2008 and 2017, the GA grew from under one cent per kilowatt-hour (a common billing unit for energy) to about 10 cents, causing a drastic increase in electricity prices, spiking home hydro bills and hitting Ontarians in the wallet. The allocation of the GA to renewable energy generators is now nearly 40 per cent, making it the largest component of the GA. 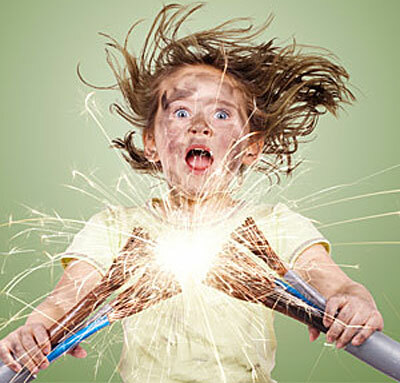 But that’s not the most shocking part. Most revenue earned by renewable power producers is from the GA subsidy—not actual power sales. From May 2017 to April 2018, market revenues for renewable generators (based on wholesale market sales) totalled about $0.5 billion, which was supplemented by $4.2 billion from GA revenues to satisfy FIT contract requirements. In other words, almost 90 per cent of the revenue to renewable generators came from the GA subsidy, rather than through sales of actual power. And for all of that, wind, solar and biomass power generate only seven per cent of Ontario’s electricity generation (63 per cent is nuclear, 26 per cent is hydro). The authors of the recent study urge the Ontario government to continue cancelling FIT contracts, but offer a caveat. To do it without incurring financial liability, Ontario’s legislature must pass explicit legislation—it can’t simply cancel the contracts through administrative action. For the sake of Ontario power consumers, households and businesses. One hopes the Ford government takes this up expeditiously. The people of Ontario have been poorly served by a green agenda that put green posturing ahead of Ontario’s energy consumers and taxpayers. Premier Ford is right to have unwound much of this. There’s still more work to be done, however, to put things right for Ontarians. First came the wind rush, then came the enormous bill. A great article, but it still understates the level of stupidity, the sheer insanity of Ontario’s green energy initiative: we were in an enviable place, with nuclear and hydro ( Niagara Falls ) providing most of the base-load at affordable prices. It’s a bad joke here that, with electricity prices now going through the roof, with companies and jobs leaving the province, we were so quickly reducing demand that our grid could be balanced without any extra generation. We now have a permanent oversupply, so much so that, if a miracle made all the wind turbines disappear, our grid would still be in great shape, with natural gas as the back-up replacing all the abandoned coal-generated electricity. But the 2000+ wind turbines and their contracts will be with us for a while, and it’s a moot question when and how we will climb out of the deep hole that these incompetent politicians have dug for us. Two features here. First is the apparent absence of any electrical engineer among governments’ vast numbers of employees. Governments act blindly—and then it becomes serious. Secondly, for all governments laud STEM in schools and what-have-you, the political classes, elected and unelected, and ministers especially, reveal no knowledge not of sophisticated Maths but of basic arithmetic. I doubt very much the the discipline of History will survive many years in the future but the reconstruction of this process of de-industrialisation and impoverisation would have made incredible reading. The self-delusion of so many is amazing.